But will that ever be? Will you find ano-oh-oh-other point of view? At the second semi-final on 8 May, Neuwirth, as Wurst, qualified for the final on 10 May. 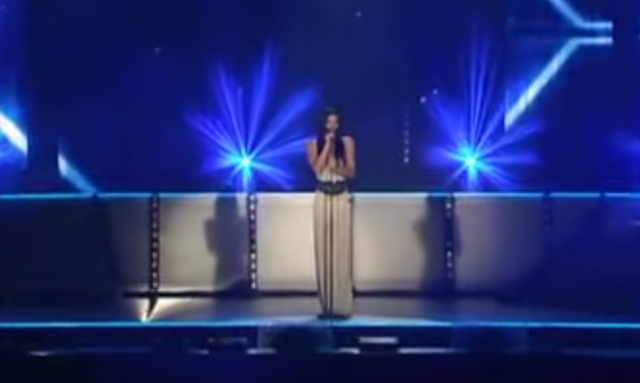 At the finals held in Copenhagen on 10 May 2014, she won the competition with 290 points. This was Austria's first Eurovision win since Eurovision 1966. Wurst's entry gained high scores from Western European countries as well as some in the East, such as Georgia and Ukraine. However, the levels of support for Wurst varied across Europe: on average she received 4.4 points out of 12 from the post-Soviet states (excluding the Baltic states), 6 points from the other ex-socialist states, and 10.5 points from Western Europe, Scandinavia, Greece, and Israel. Commenting on this, political analyst Alan Renwick of the British University of Reading asserted that "Even in those countries where the ruling elites are often highly intolerant, the wider population might be readier to accept that different people might be different." Upon being awarded the trophy, Wurst held it aloft and proclaimed "We are unity and we are unstoppable".She later confirmed to reporters that this was a message meant for politicians who opposed LGBT rights, including President of Russia Vladimir Putin, whose administration had implemented a law restricting LGBT rights in June 2013. British newspaper Daily Mail declared that Wurst's victory had made her a "global superstar". On returning to Austria, she was greeted at the airport by a crowd of over 1000 cheering fans, many wearing fake beards and singing "Rise Like a Phoenix". To journalists, she expanded on the message of tolerance which she had championed at Eurovision: "It was not just a victory for me but a victory for those people who believe in a future that can function without discrimination and is based on tolerance and respect."